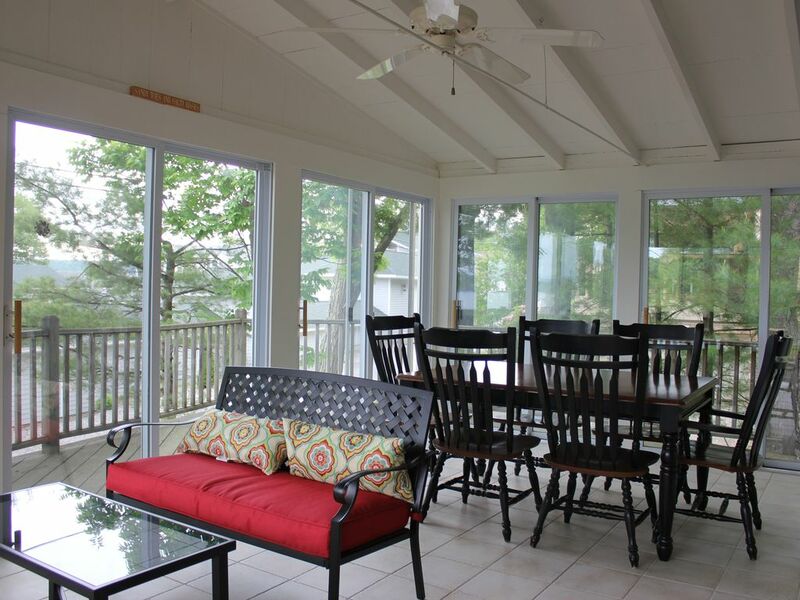 Right through the glass sliders of the awesome sun porch is a great deck with a Grill. This is all less than 50 feet from the entrance to Akwa Marina's Pool and Beach bar. Only a 20-second walk out the door is Akwa Marina Beach Club. Wake up and go for a swim on the sandy beach with Swim Raft. Then spend the day poolside. Grab lunch at the beach bar or order poolside. 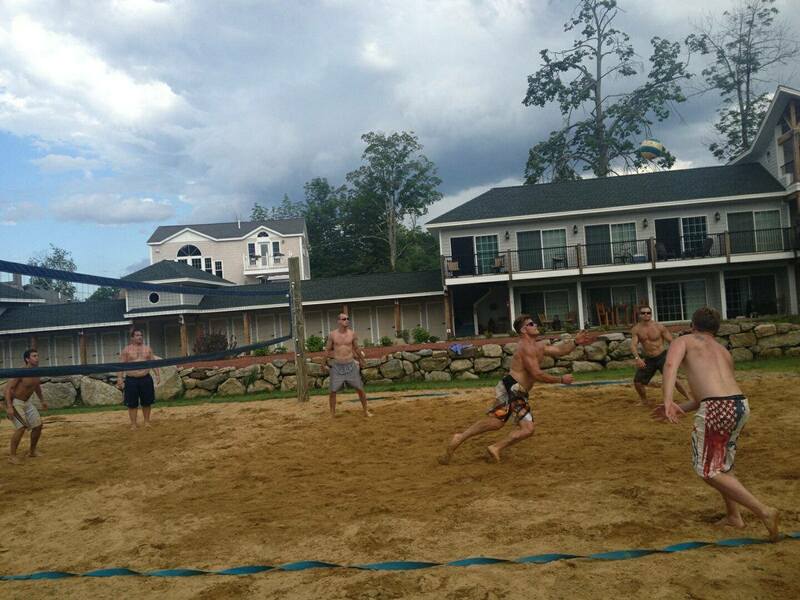 Play a round of Boccie or grab some friends and own them on the Volleyball court. 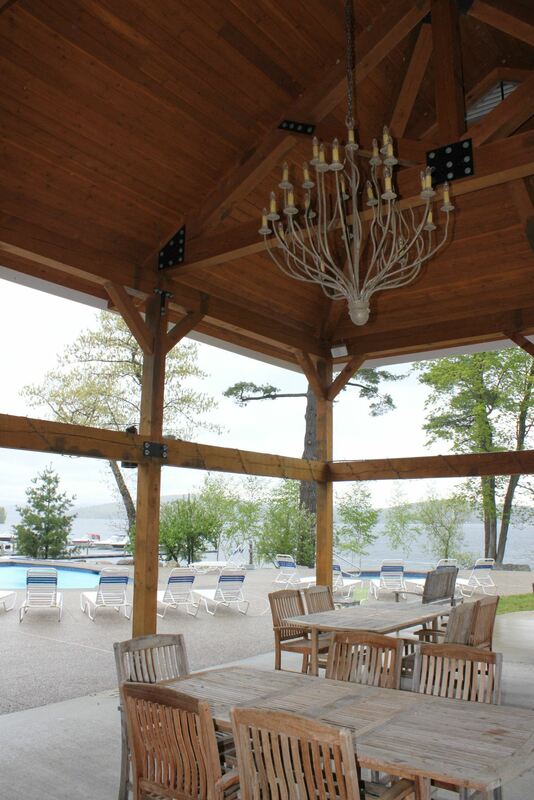 Sit by the propane fire pit in the far pavilion. Or lite a fire in our wood-fired pit down by the water. Or you can grab dinner at the beach bar. Check the Homeaway Booking page for specifics. 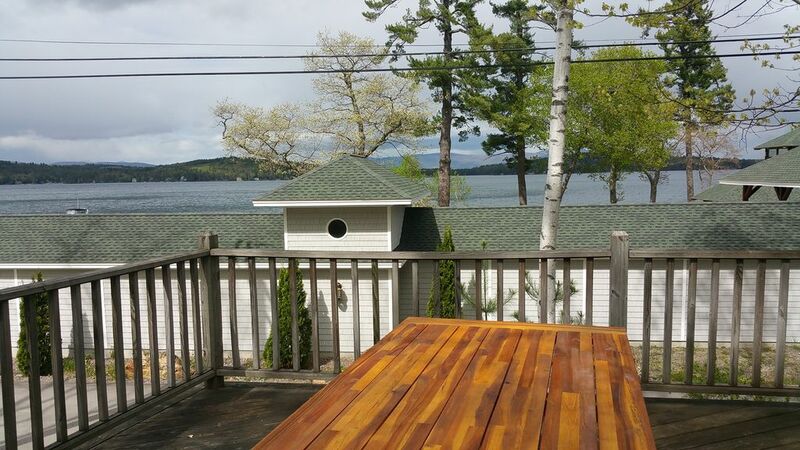 Located on the shores of Lake Winnipesaukee, this home has spectacular views of lake and the mountains. 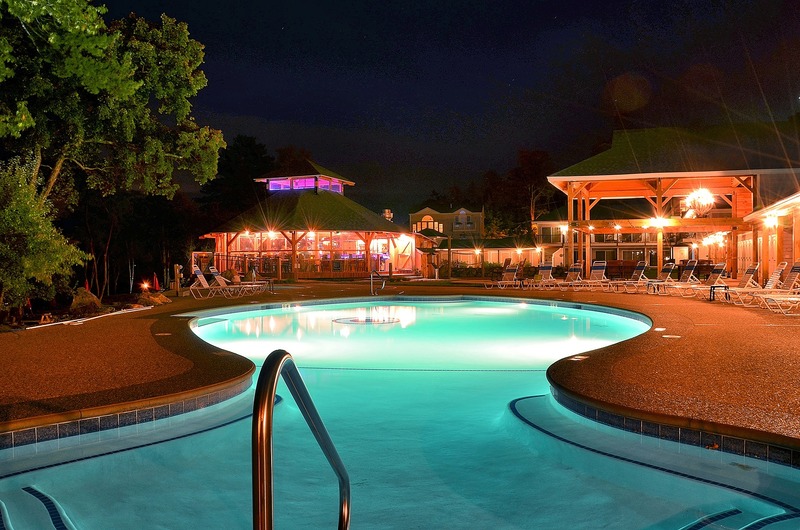 Enjoy a resort style stay when enjoying the amenities of Akwa Marina. Before diving into the details of the house let me tell you about Akwa Marina. 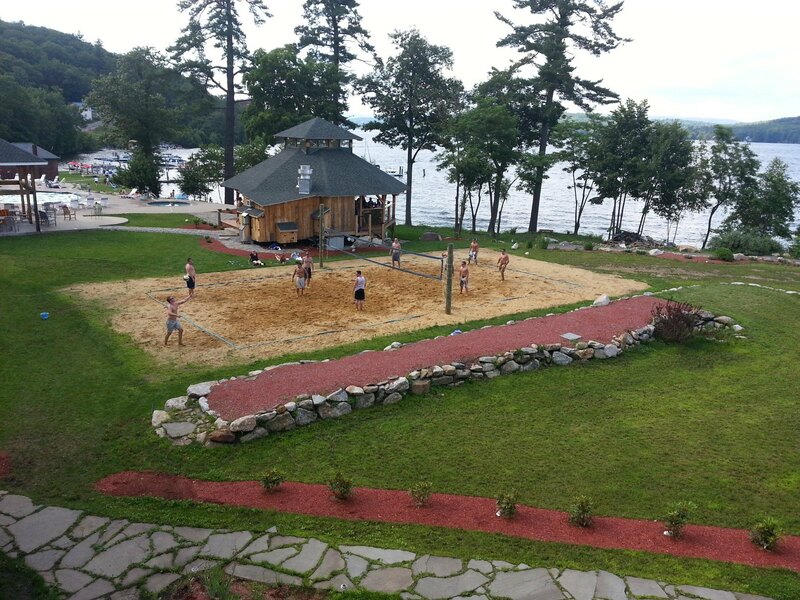 Akwa has a large beach, pool, hot tub, volleyball court, bochi ball court, two outdoor fire pits, two outside pavilions. A phenomenal addition to Akwa Marina is Akwa Marina Beach Bar. 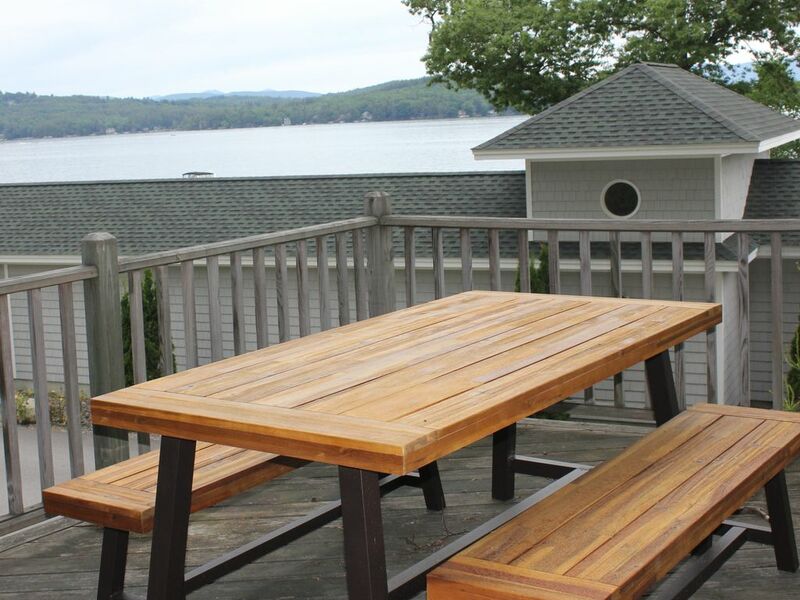 The restaurant was voted the 3rd best lobster roll in its opening season. It has spectacular drinks and food. 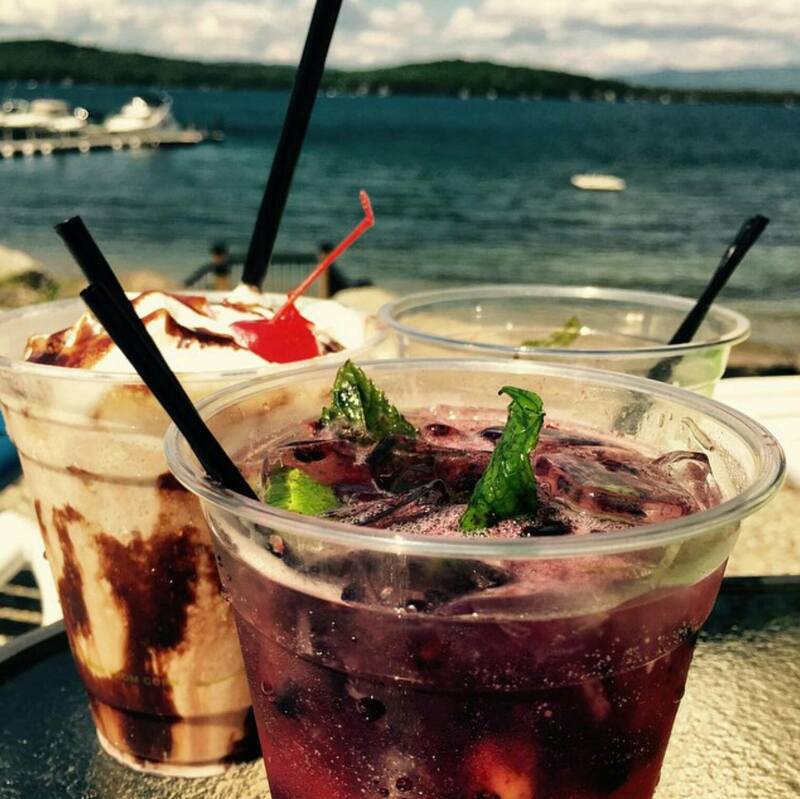 Enjoy them inside while sitting at the Annona bar; a wooden sailboat that was transformed into a bar. 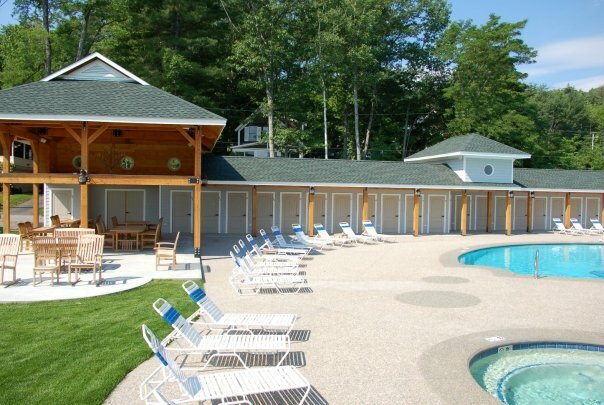 You can also sit pool side and have a waiter bring you food and drink. Most weekends the Marina will host live music Sunday afternoons. 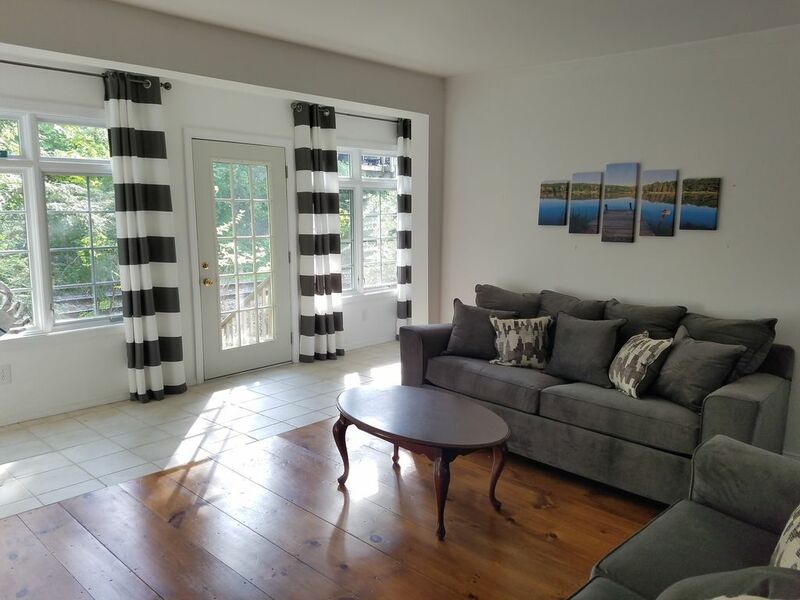 This home is a short, two minute, walk from downtown Weirs Beach. 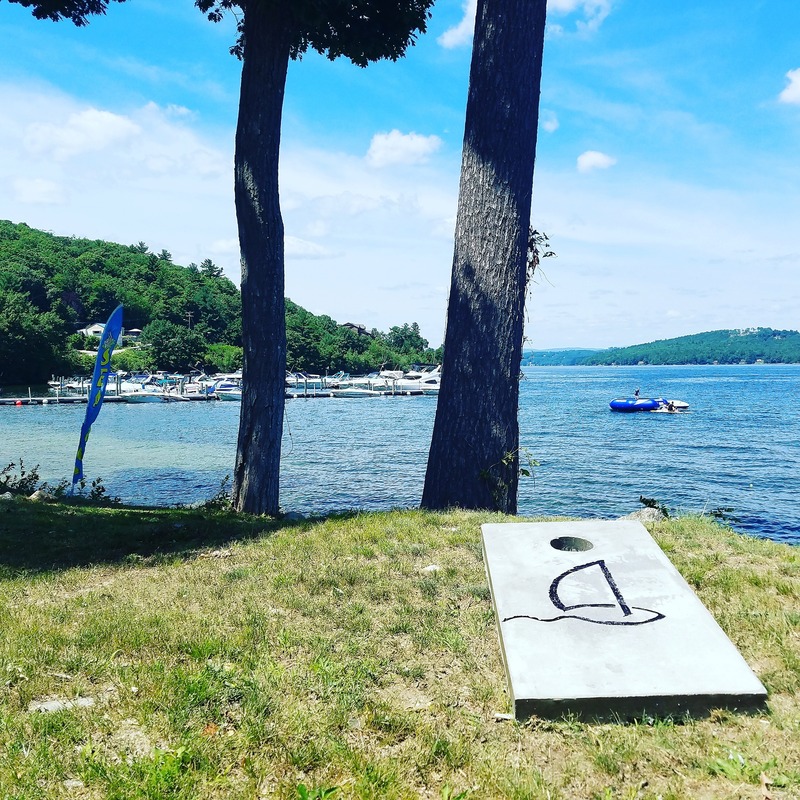 The Weirs has a lot to offer, from arcades and food, to shopping and mini golf. The Weirs has fireworks almost every weekend in the summer and you can see them from my porch. 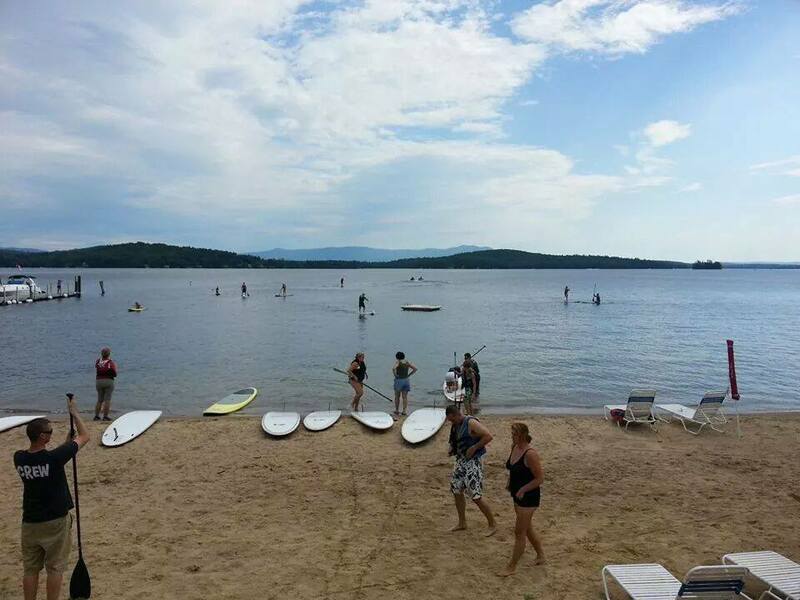 Gunstock Mountain is a 15 minute drive from door to door. Funspot, the largest arcade in the world, is a half mile away and is great place to take children. Ice fishing is awesome in the winter, just steps outside the back door. The winning fishing derby fish was caught out in front of my place back in 2011 and 2012. My home is a 5 minute drive to downtown Meredith, a place perfect for a family gathering or upscale wedding. Meredith is also a great place to go for a walk or shopping. 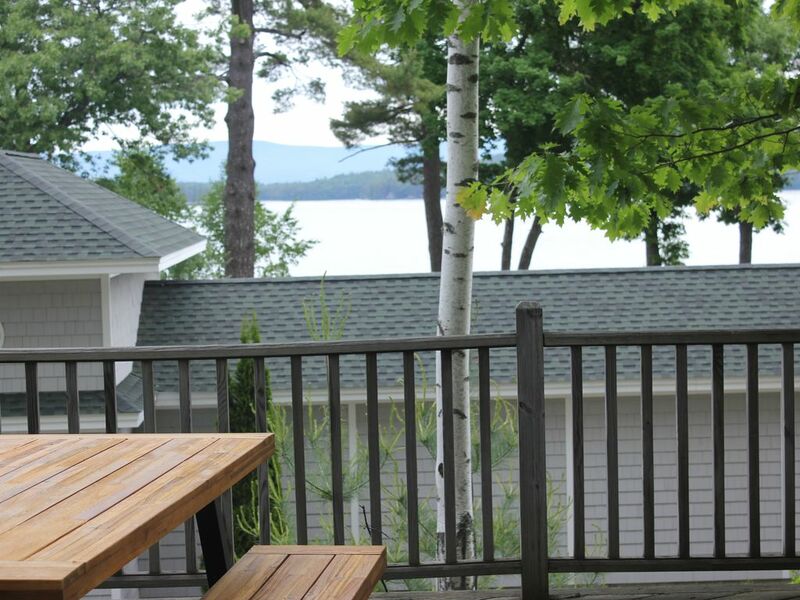 In the summer the view is amazing of the lake and mountains. Simply sitting on the deck and watching the boat traffic go by is as relaxing as it gets. 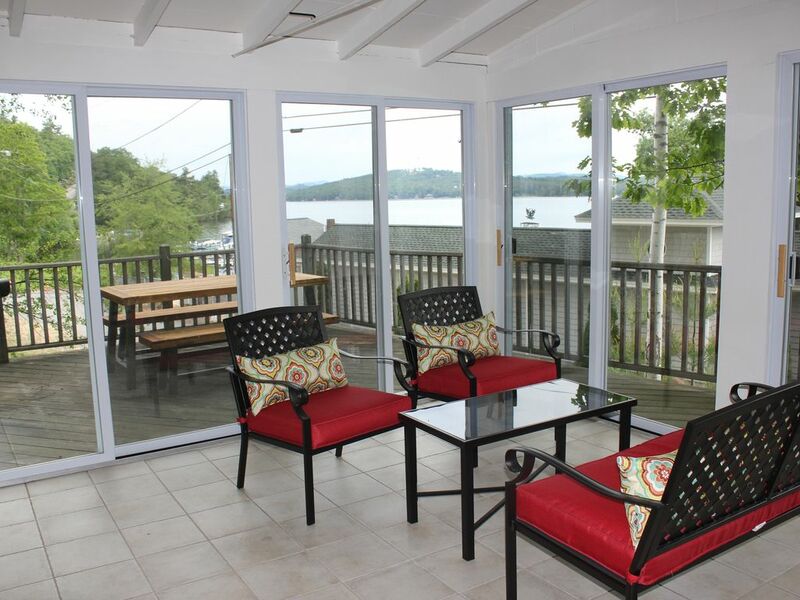 The property sits on a hill, set back 200 ft from the water, over looking Meredith Bay. You can see Governors Island and Spindle point working your way north down Meredith bay. 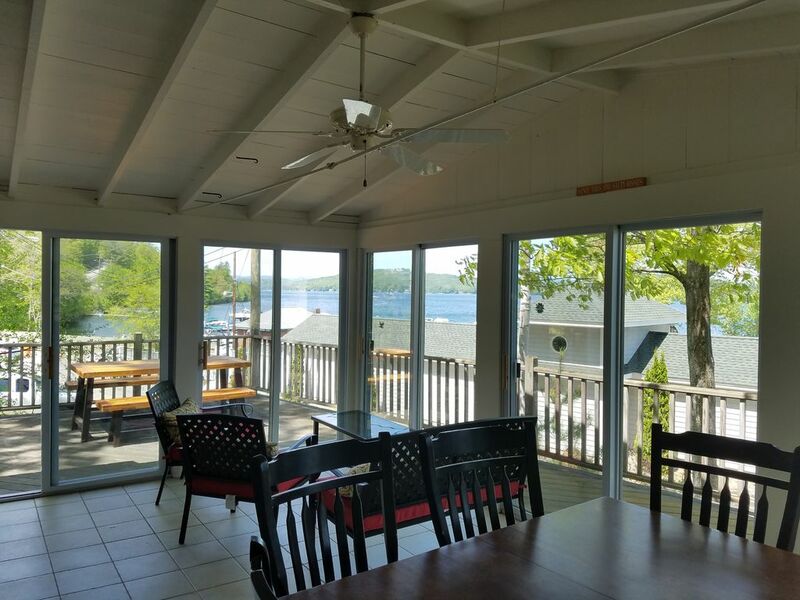 The large deck opens up to a large sun porch with beautiful panoramic lake and mountain views. 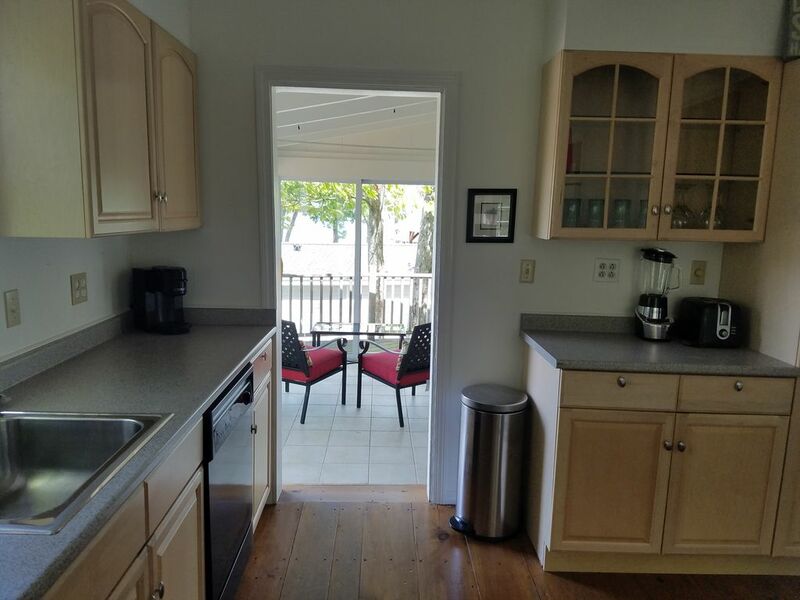 The downstairs kitchen is fully stocked with everything you may need. Pots, pans, ect. 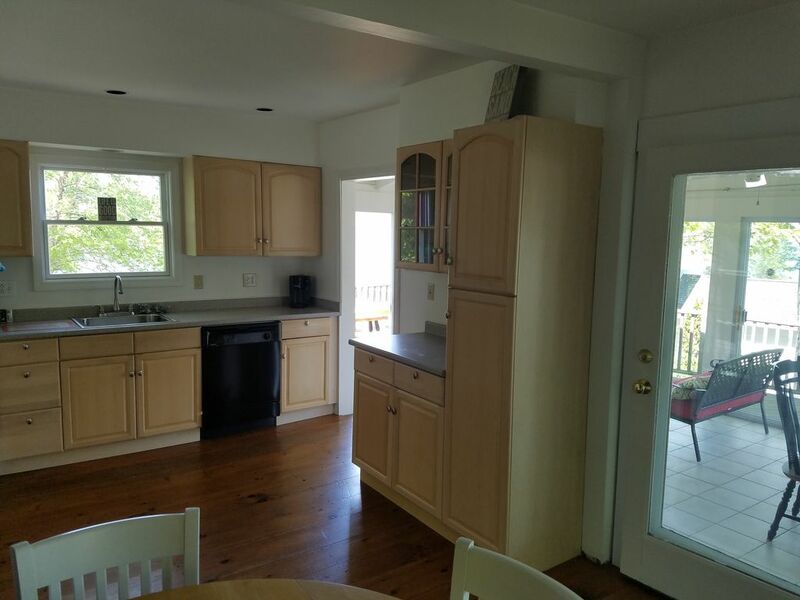 The entrance to the home is a large sunroom that steps up to the kitchen and then into the living room. The living room has a big TV. Sleeps 6 plus people. Bedroom 1 has a queen, and a twin bed in it with a closet. 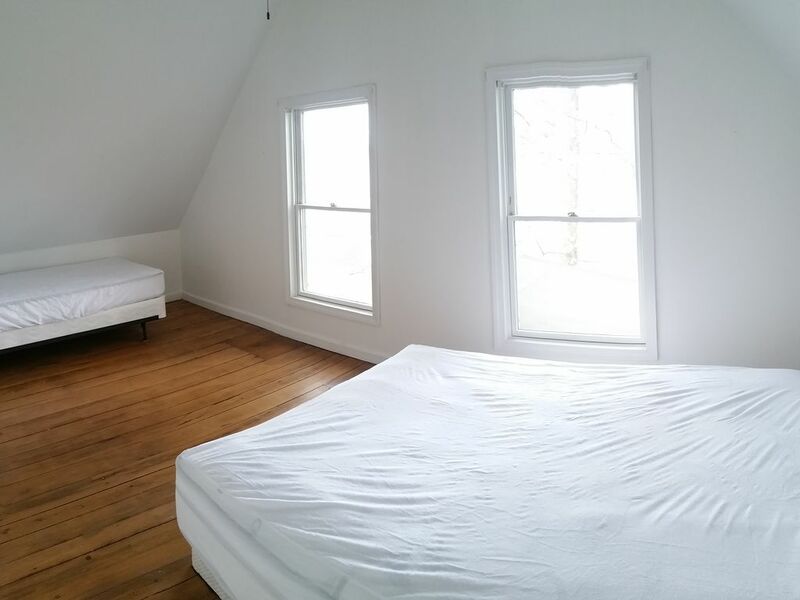 Bedroom #2 is has a queen size bed and twin with a closet. The downstairs has a pullout couch. 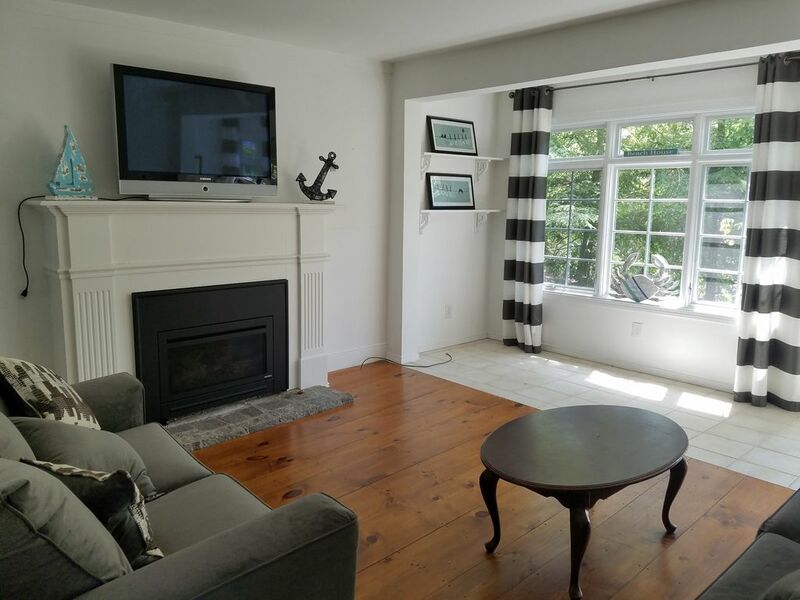 Other amenities include outside deck furniture, grill, large TV. Rustic wood flooring, and tile throughout the house. 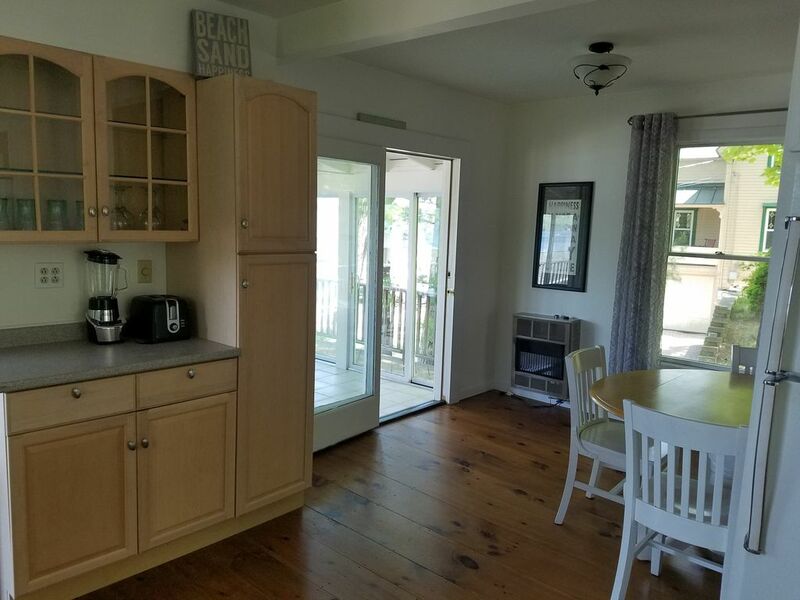 2 Bathrooms (full bath, and a 3/4 bathroom. 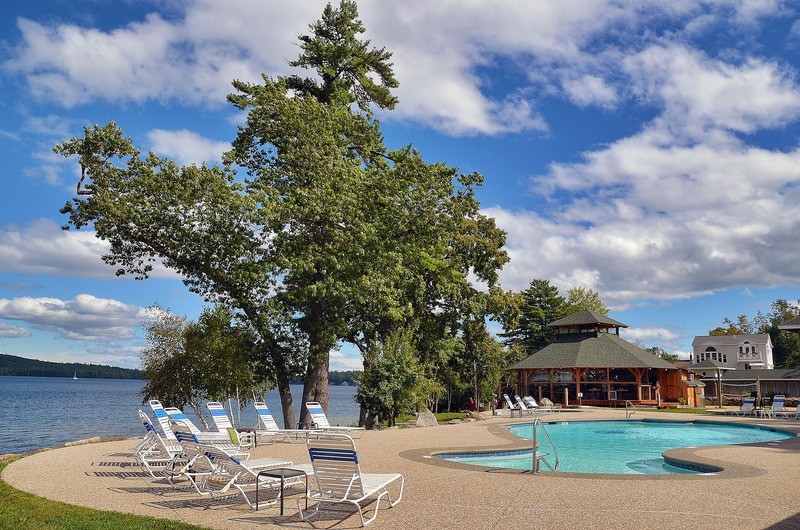 Renting my home will allow access to a beautiful sandy beach, fire pits, outdoor pool, hot tub, volleyball court, Akwa Marina Beach Bar & transient docking slips, plus so much more. 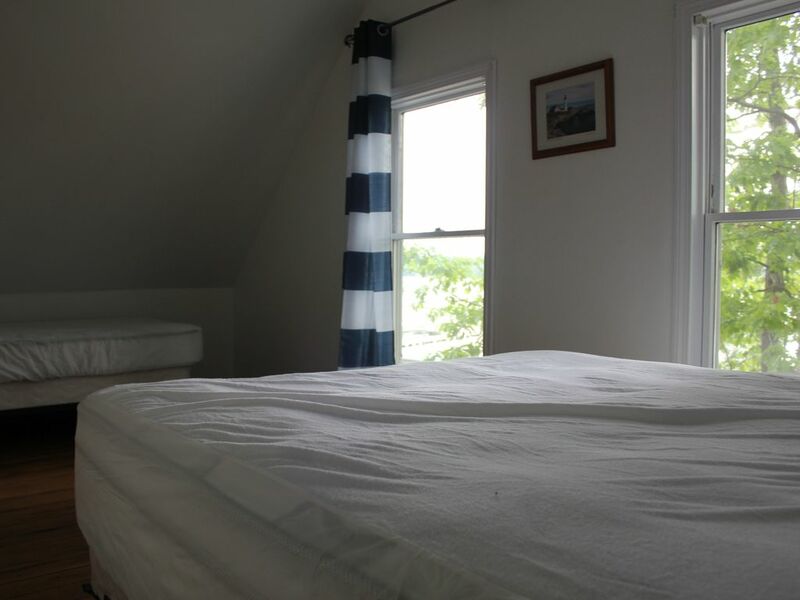 You supply your own bed linens, blankets, towels, and toiletries. The home does not have a washer or dryer. The home does have Cable TV. The home does have an amazon Fire Stick that you can stream Netflix, Hulu, HBO now and Strarz. Their is also a blue ray player. 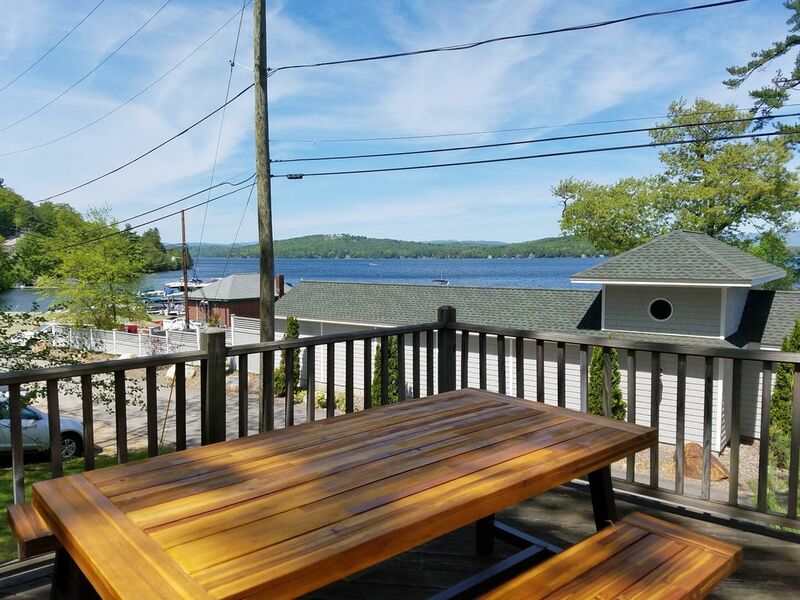 This is the prime spot to be if you want to truly experience all Lake Winnipesaukee has to offer!